Caterpillar clothing including Caterpillar Socks from Outdoor Look UK. Heavily discounted Caterpillar clothes available for next day delivery. UK supplier of Caterpillar clothes at bargain prices. 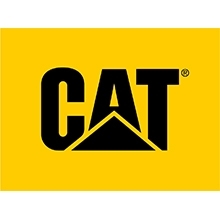 CAT Clothing, or Caterpillar Clothing to give them their full title, is one of the leading workwear manufacturers, and one of the first to make the crossover to be considered a fashionable leisurewear product as well. Here at Brookes you will find everything from the CAT range for the work place, with the knowledge that it is look smart and sleek in leisure situations too. The CAT Hooded sweatshirt is classically styled and has a large full pouch which offers warmth and safe keeping for your valuables during a long day at work, and with the classic CAT logo emblazoned across the chest looks smart enough to wear after work too. The Cat Tech Jacket is 100% Nylon Oxford with Storm Blocker, giving this waterproof jacket a breathability capacity second to none. It’s even lined with 100% Polyester tricot in the body, hood and the collar. CAT Clothing always offer great quality and combined with free delivery options and our continued exceptional customer service, competitive pricing, and a wide range of other top brands to choose from our free catalogue or on the website, what more could we offer.